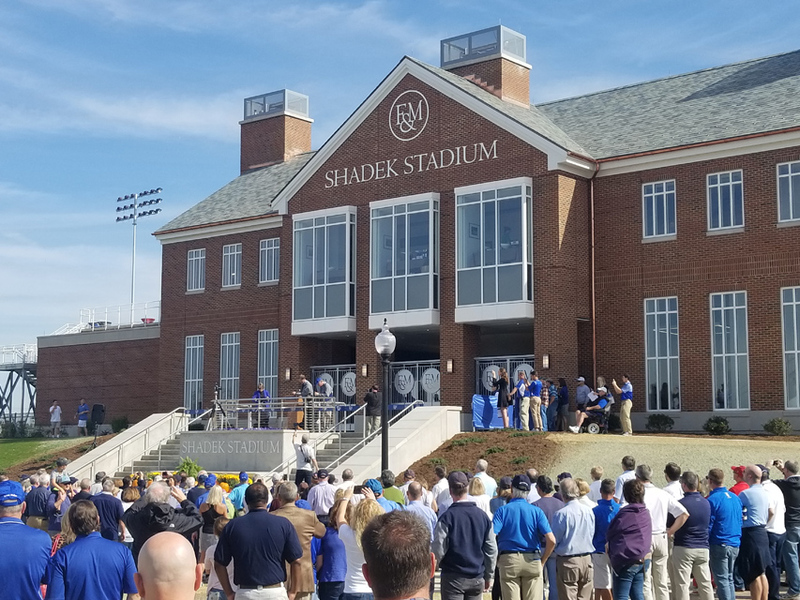 Franklin & Marshall College kicked off the opening of its new Shadek Stadium at the 2017 homecoming Diplomats football game. The signs and graphics needed to communicate across the facility and generate a unique fan experience were made possible by FASTSIGNS® of Lancaster, an established sign company owned by local entrepreneur Clint Ehlers. 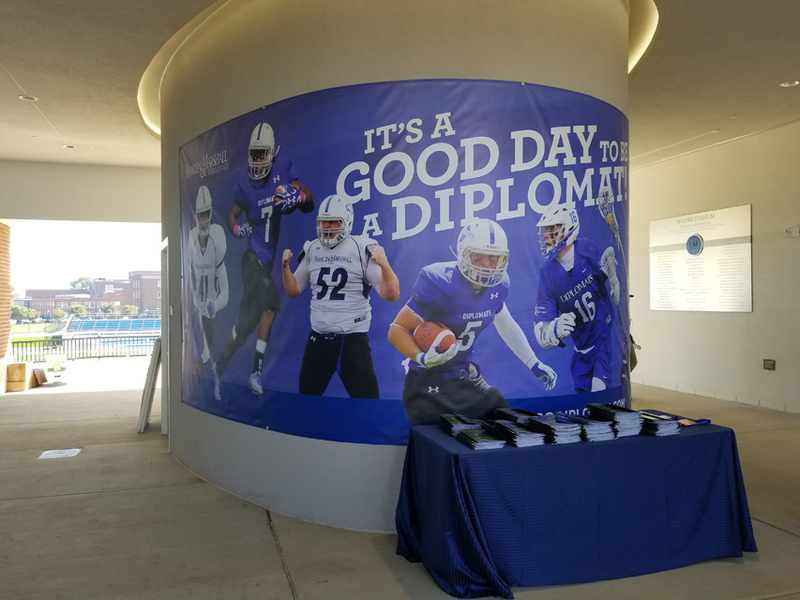 Turner Construction, who oversaw the development, asked FASTSIGNS of Lancaster to design and provide all of the stadium signage, including the sxity-foot-tall digital video display and scoreboard on Tom Gilburg Field. Several branded site signs were part of the package. 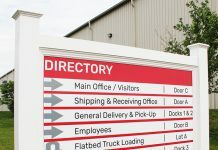 To identify and welcome people to the facility, the team at FASTSIGNS of Lancaster mounted large aluminum dimensional letters and logo graphics to the exterior of the building, and provided several branded site signs, directional signs, and wall graphics. In addition, images of team players and coaches were displayed on banners and flags, promoting team pride and enhancing the environment. The next phase of the project needed wayfinding. FASTSIGNS of Lancaster designed and created a combination of branded wayfinding signs including ADA-compliant signs, wall plaques, and aluminum signs to identify specific departments, floors, rooms and offices. 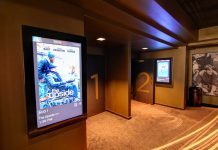 Outside of the stadium, large dimensional numbers identify seating sections and directional signs help fans find their way. The sixty-foot-tall scoreboard includes a Daktronics LED video screen. 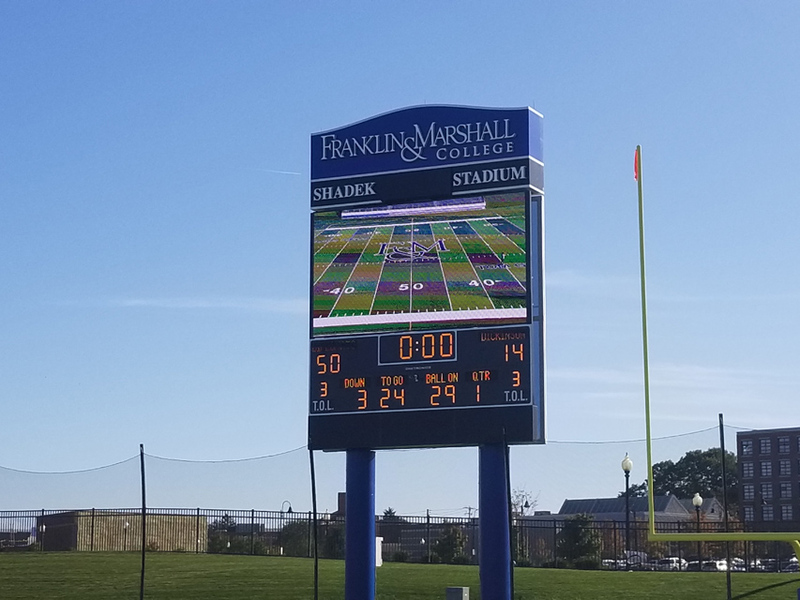 For the playing field, FASTSIGNS of Lancaster conducted extensive comparison research to find the best digital scoreboard solution to fit the facility’s needs and create a superior game experience. The result: an impressive 60-foot-tall scoreboard that includes a 14-by-25-foot LED digital screen from Daktronics to display video and custom content, a digital score and game clock display, three lightbox signs for sponsor graphics, illuminated channel letters, and a complete speaker system. A custom pedestal honors the Shadek family. 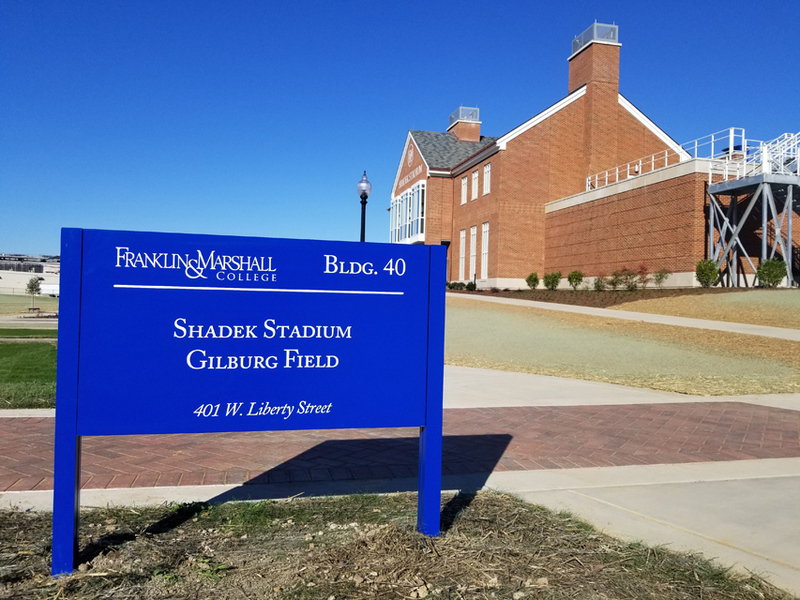 Franklin & Marshall’s Advancement Team wanted to ensure that those who donated to the new stadium were recognized in a unique, prominent way. 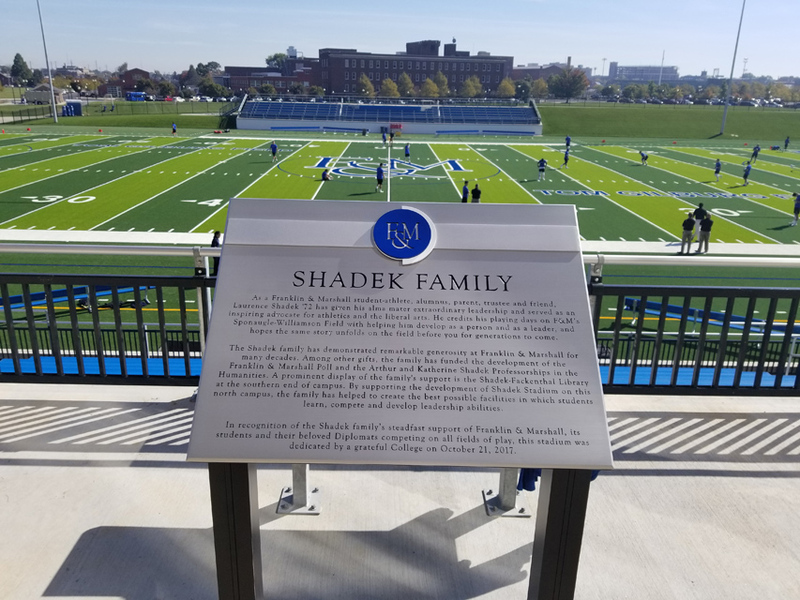 To accomplish their vision, FASTSIGNS of Lancaster produced various donor signage including large brushed aluminum plaques listing donors’ names, a custom pedestal honoring the Shadek family, garden stake plaques, and wall-mounted signs. UV-printed photos honor past Franklin & Marshall icons and players. FASTSIGNS of Lancaster has received several recognitions for their outstanding work on the Shadek Stadium project. 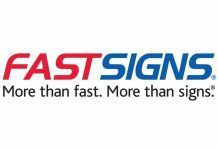 To learn more about them, visit fastsigns.com/311 or call (717) 569-7606.